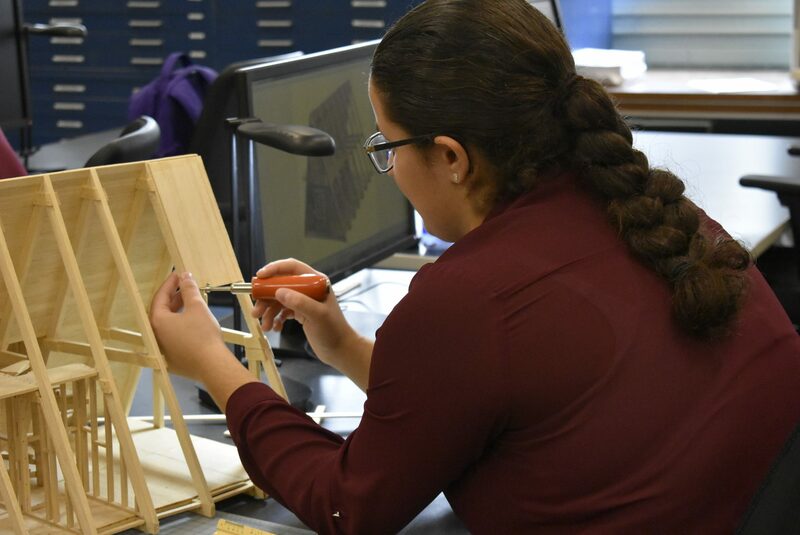 The Architectural & Mechanical Design curriculum is designed to promote understanding and application of the graphical language used in technical drawings. With the development of industry and breakthroughs in technology there will always be a demand for qualified drafters. The vast majority of today’s drafters are using Computer Aided Drafting software or CAD. 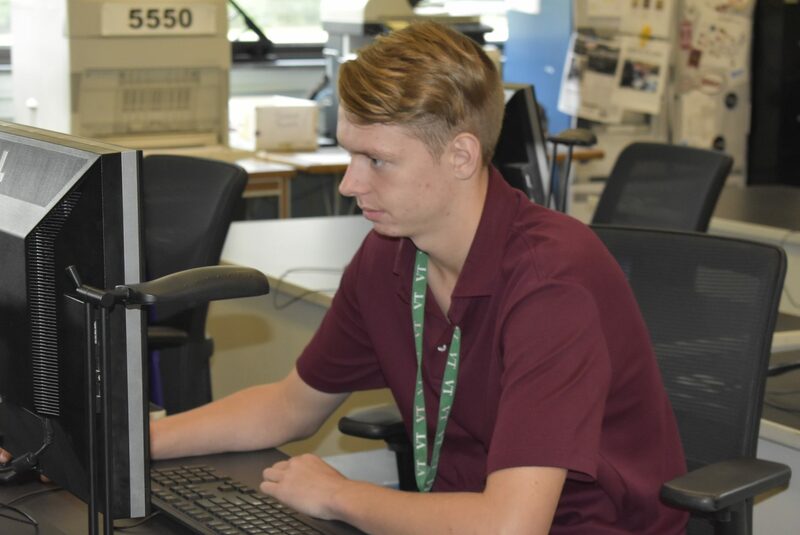 The importance of being a highly qualified AutoCAD operator is a major requirement for future employment. 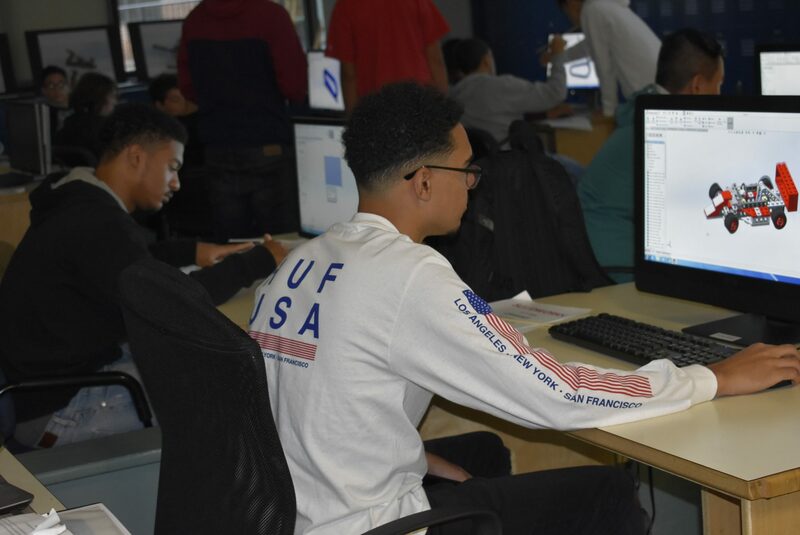 The curriculum is designed to promote understanding and basic applications of the software and introduce the student to the fundamentals of traditional drafting. 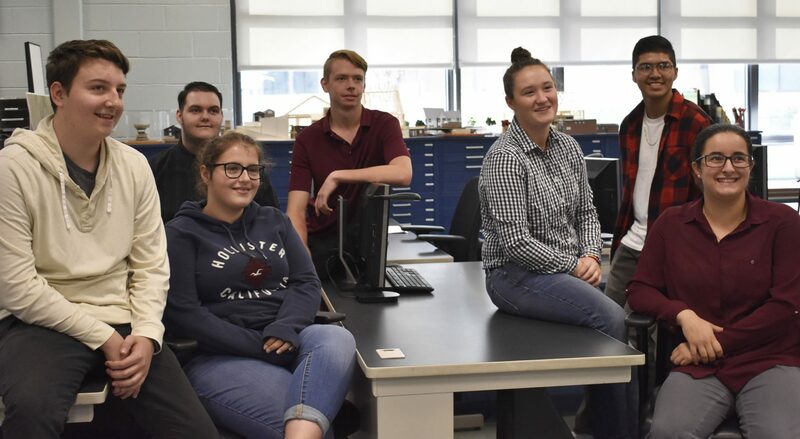 The two in combination will prepare the student for more advanced applications in the Architectural Drafting and Mechanical Drafting programs. The Architectural & Mechanical Design Freshman Placement program is a 5 cycle program with each cycle consisting of 9 days. 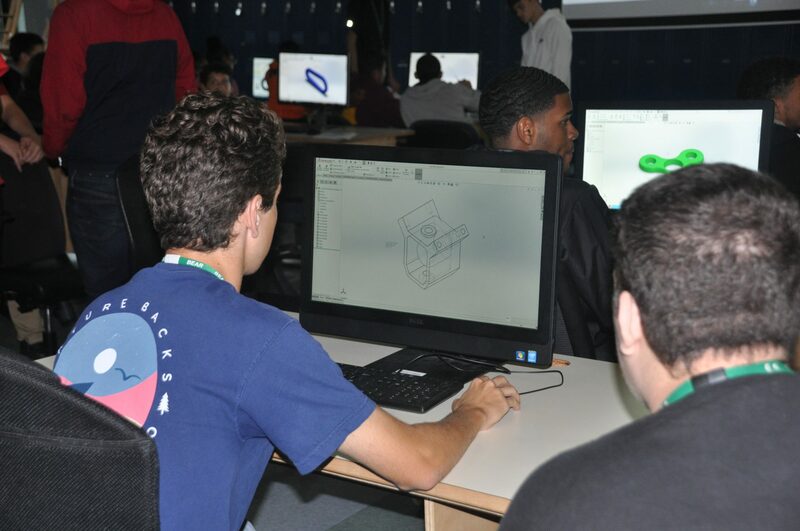 The program introduces the student to basic drafting techniques using the latest version of AutoCAD. 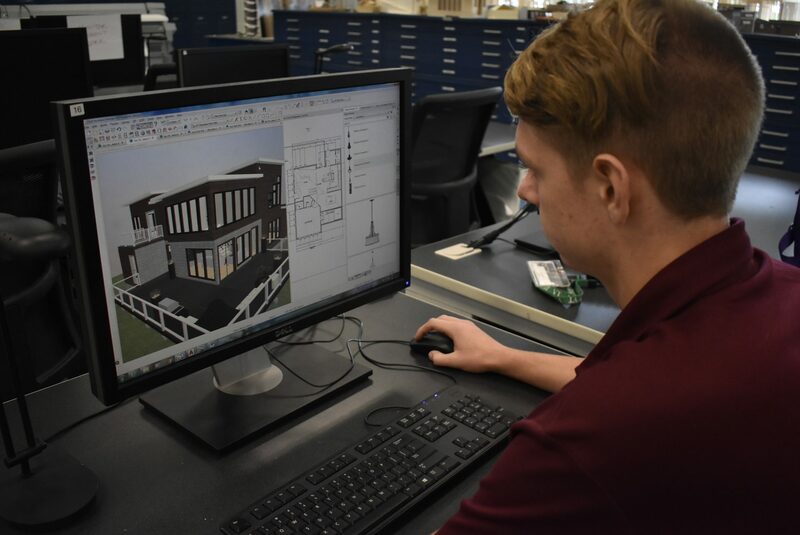 The assignments are an assortment of 2 dimensional objects such as Georgian House floor plan with front elevation, a variety a bathroom layouts and a multitude of machine parts. The student will draw each assignment using AutoCAD and plot them on the assigned paper size. 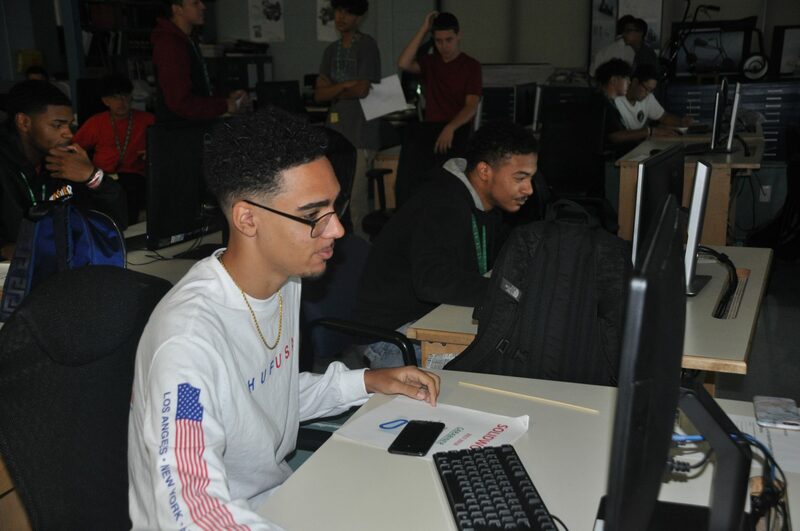 During each project the student will be introduced to more advanced AutoCAD commands, settings and applications. 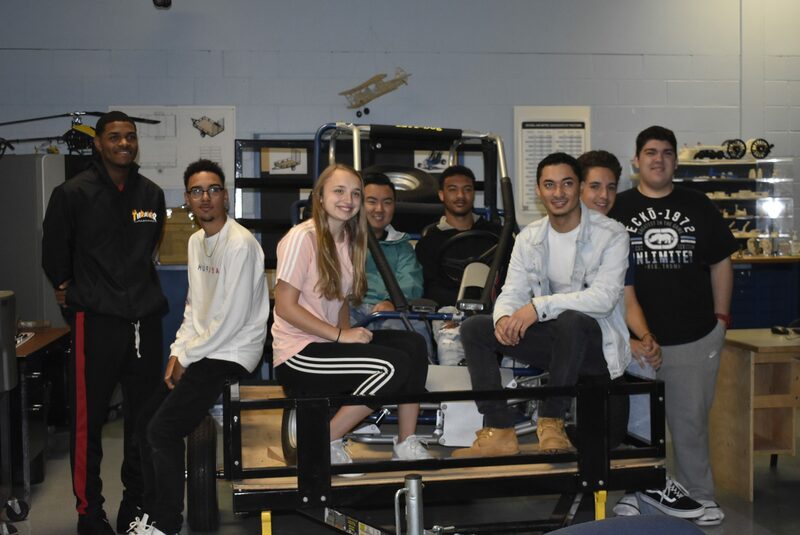 With lecture and one on one instruction the students will learn how to use templates, operate Draw and Edit commands, use proper dimensioning methods, change linetypes and lineweights and use blocks. The student will also learn how to use measurement scales and to manipulate the paper space and model space environments. The program will introduce the different types of views such as orthographic projection and isometric drawings. 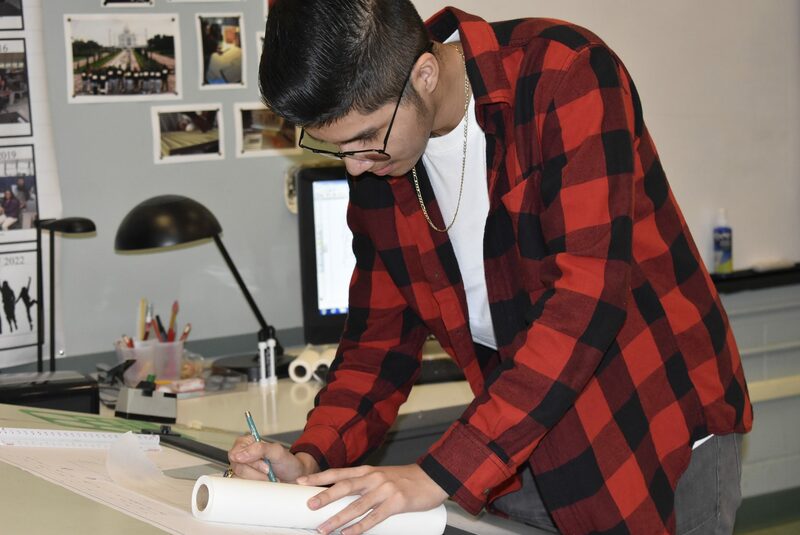 After completing the Architectural & Mechanical Design Course offered during freshman and sophomore years, a student can then enter either Architectural Drafting program or Mechanical Drafting. Architectural & Mechanical Design is a great shop, but is only offered for two years. 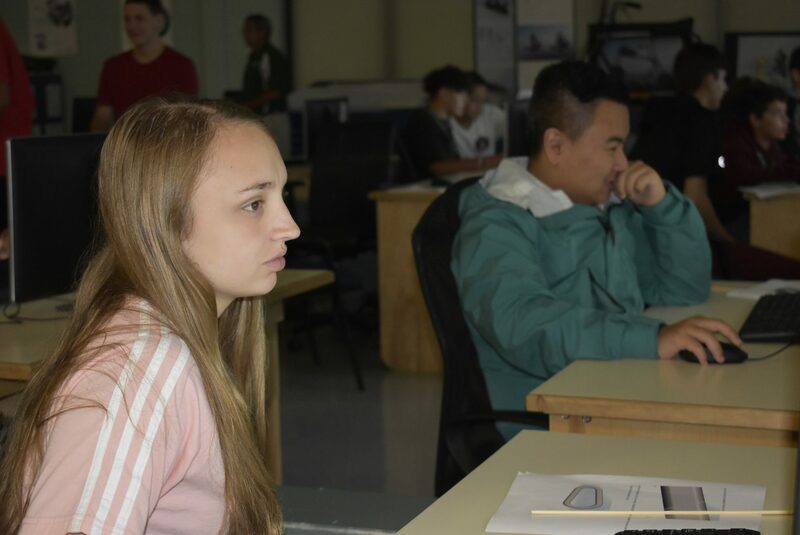 The next two years will be in a specific shop that branches out from Drafting Technology. They will go into greater detail of the different aspects of the various opportunities that CAD-Drafting offers. 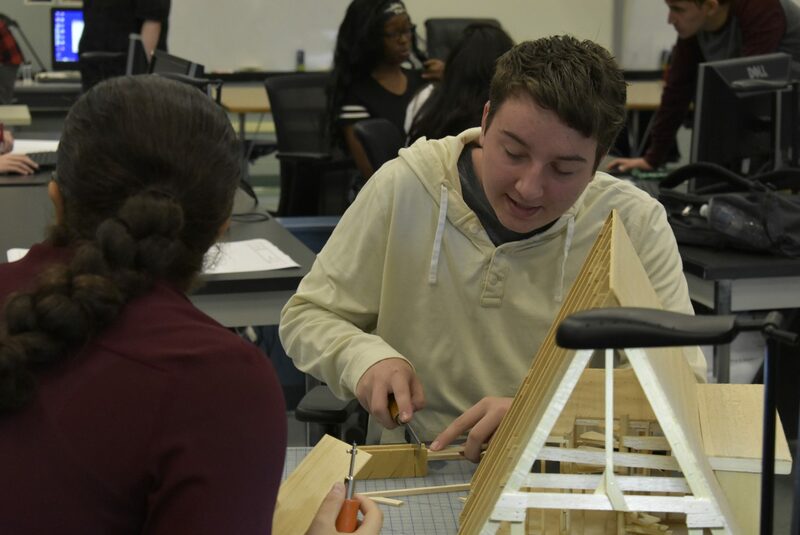 At the end of sophomore year, students will choose either Architectural Drafting or Mechanical Drafting.